If the allegations are true it could be potentially damaging for the Romney campaign as popular sentiment seems to be that a magical equine would be unfit for the presidency. 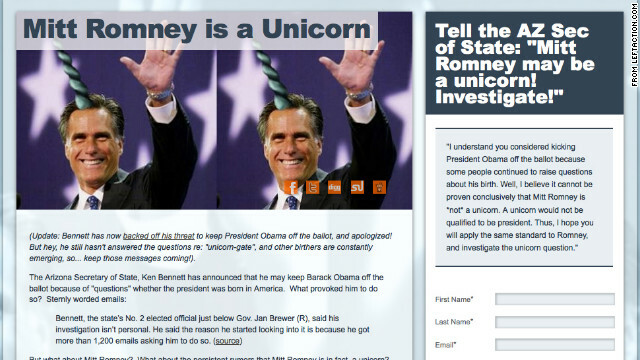 Romney himself has not yet commented on the unicorn allegations. It is unclear whether the state of Arizona will officially investigate the claims. Crazy, right? And not just the irony that a man with the surname “Blow” has the audacity to mock other people.